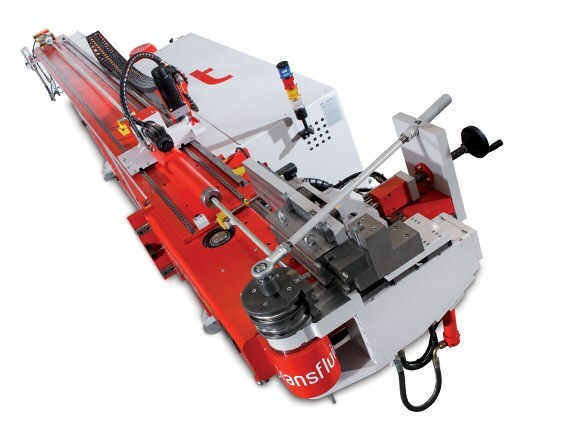 Transfluid DB 642 3A-CNC pipe bender. Transfluid UMR rolling forming machine. 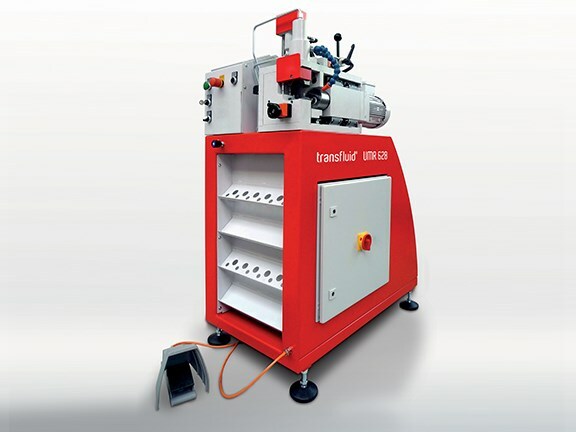 Pipe processing system manufacturer Transfluid has designed special mobile bending machines and compact bending machines for making custom-fit hydraulic pipes for construction equipment. The German company says that high-performance CNC pipe bending machines, like the mandrel bending machine DB 642 3A-CNC, enable the effective bending of pipes — even those with thick walls. And rolling pipe-forming machines, such as the UMR model, give diverse shaping options, "in particular for the manufacture of hydraulic connection systems, such as 37-degree or 90-degree raised flanges for flat-sealing O-Ring connections (such as ORFS)". The fully automatic DB 642 3A-CNC (6mm to 42mm diameter), is suitable for both individual production and serial manufacturing. Its features include quick set-up times, a freely-programmable CNC touch panel control, direct online connectivity to all CAD systems and the ability to process 3D data directly in almost all formats. The machines are capable of processing pipes which have already been formed on both sides, as well as pipes on to which SAE collars have been welded prior to the bending procedure. "If pipes are to be measured on the object and no usable digital data is available for this purpose, Transfluid has created a solution whereby simple isometry software can be used by means of a tablet," the company says. "It enables the pipes to be measured on site and this information to be sent directly to the machine online. All data are recorded, saved and are therefore available at any time." The MB 642 mobile machine enables the bending to carried out on site, enabling more efficient laying of hydraulic lines. Optional equipment includes a saw, an internal and external deburrer and an assembly device for all common connection systems (cutting ring-fittings and flanged-screw fittings). Finally, Transfluid has developed the UMR rolling forming machine for the production of 37-degree and 90-degree flanges with short span lengths for use in hydraulic connection systems. Transfluid will be demonstrating these machines at the Bauma construction and mining expo in Munich in April. Click here for more information.